A 67-year-old man suffered multiple serious injuries after being 'pulled onto the pavement and assaulted' when stepping off a bus in Bognor, according to police. Sussex Police has appealed for witnesses following the assault in Oak Grove at around 2pm on Monday, January 14, which left the man with fractures to both legs. A spokesman said: "The victim, a 67-year-old man, was stepping off a bus in Oak Grove, Bognor, when he was pulled onto the pavement and assaulted by another man. "The victim sustained fractures to both legs and he was taken to hospital for treatment." 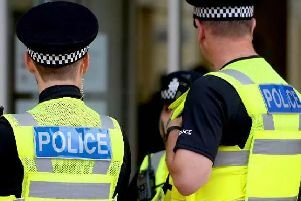 Police said the suspect was described as a white man, 5ft 10, aged between 35 and 40, of heavy build, with body piercings and tattoos and hair in a mohican-style. "If you witnessed the assault or recognise the description please report online or call 101 quoting reference 668 of 14/01," the spokesman added.